For 20 years AlphaLogix has been supporting Infor CRM (formerly SalesLogix) clients in the UK and we have developed a vast amount of experience on Infor CRM to provide a wide range of training courses. By having well trained users you will maximise the benefits from your software. 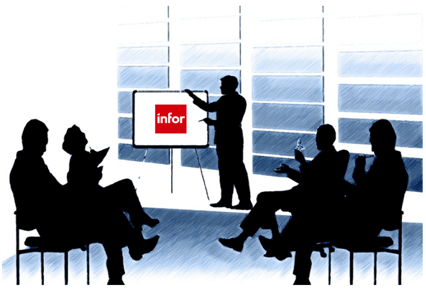 Our Infor CRM courses can be run either at your premises, or we can run virtual training courses using the latest technology. We can also offer training courses off site throughout the UK. Having the latest Infor CRM training (or SalesLogix training) allows your users to stay up to speed with the latest versions and all the new features so you get the best return on investment on your software. We also run one on one training or classroom sized training courses. If you would like to discuss your Infor CRM or SalesLogix training requirements call us on 0845 257 3141 or email us at info@alphalogix.co.uk. We cover all parts of the UK.